Following command is used to stop Dbvisit Standby Web Based Interface, i.e. Dbvserver. Note: command won’t return any output once completed. Following command is sued to stop Dbvisit Standby Network Communication, i.e. Dbvnet. Verify that, above command successful and no dbvnet or dbvserver processes still running on the server. Note: In case of processes still running, kindly kill them with linux kill command. Remove all the temporary files (temporary cache), its recommended to clear all before start. Start Dbvisit Standby Network Communication, i.e. Dbvnet. Kindly remove old log files from the log directory. Start Dbvisit Standby Web Based Interface, i.e. Dbvserver. Kindly remove old log files from the log directory. This entry was posted in DBVisit Standby and tagged DBVisit Standby. 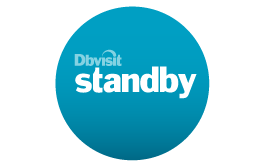 ← DBVisit standby out of sync due network fluctuations & requested archive log file not in place.